I love Ivy Oak cluster. I think condominiums are a fantastic option for homeowners who don’t want the responsibility for the exterior of their property. But for many young families, a high-rise condo isn’t really an option either. In Ivy Oak Cluster, families can home their home and let someone else worry about the roof. Ivy Oak Cluster has 96 condos built in 1970-71. The two-story townhomes have three or four bedrooms. They are well designed, feeling much larger than they are. Each home also has a nice backyard space, many of which are fenced. For young families, the neighborhood has a large common space with a wonderful playground. Ivy Oak is located off North Shore Drive in North Reston, close to Temporary Road. That’s the road that connects North Shore Drive and Reston Parkway. 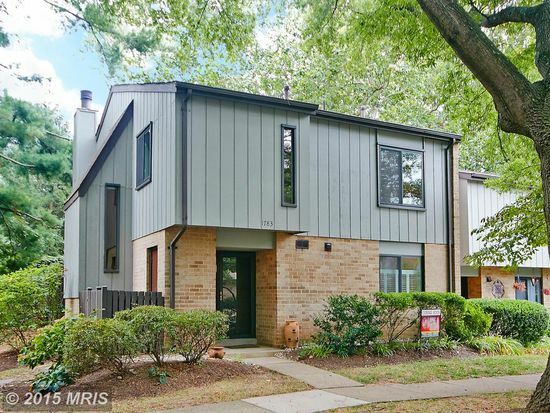 Ivy Oak is about a 10-minute walk to Reston Town Center. There is a path that runs between the cluster and the Sallie Mae property, and it leads right out to Old Reston Avenue. Take a left, and then a right on the W&OD path, and Reston Town Center is pretty much right there. 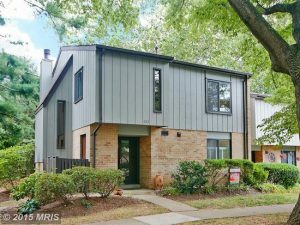 Ivy Oak is also close to both Whole Foods and Harris Teeter, and has easy access to the Wiehle-Reston East Metro station. But really, the best thing about this neighborhood is the people. It’s a friendly community. If you want a condo that doesn’t feel like a condo right in the middle of everything, check out this neighborhood.